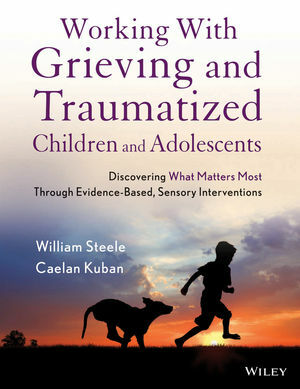 "This much-needed book effectively argues for the use of structured activities as the basis for exploring trauma-specific questions in clinical work with traumatized children and adolescents. Numerous examples of children's artwork enhance the book and illustrate the effectiveness of the treatment. The authors' methods have been used successfully for many years and represent a major contribution to the study of trauma that will be welcomed by both students and seasoned practitioners." "The authors provide a clear theoretical framework and demonstrate practical sensory-based activities so kids can discover and reconnect with their bodies' agency and vitality. Refreshingly, this vehicle creates an emotionally safe journey for the child into the mystery of the experiential, embedded in implicit memory. It's chock-full of invitations to explore self-impressions and worldviews in a way that children feel seen, not assessed." Working With Grieving and Traumatized Children and Adolescents features the Structured Sensory Interventions for Traumatized Children, Adolescents and Parents (SITCAP) intervention model, proven in successfully addressing violent situations such as murder, domestic violence, and physical abuse, as well as non-violent grief- and trauma-inducing situations including divorce, critical injuries, car fatalities, terminal illness, and environmental disasters. Filled with practical and proven activities for use with children and adolescents experiencing trauma and grief, this resource is based on the authors' experience working with all types of traumatic events in school-, agency-, and community-based programs across the country. WILLIAM STEELE, PsyD, MSW, is the founder of the National Institute for Trauma and Loss in Children (TLC) established in 1990, where he has personally trained more than 5,000 TLC Certified Trauma and Loss School and Clinical Specialists. CAELAN KUBAN, PsyD, LMSW, is Director of TLC, a program of the Starr Global Learning Network. She provides training across the country to professionals working with traumatized children and families.